Call on us to help your family and guests celebrate your loved one’s legacy. Our experienced, compassionate staff is here to serve you. 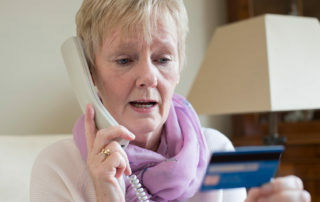 Losing a loved one can be the most difficult time in your life, whether an elderly family member has passed after a long illness or a child was tragically taken from you. 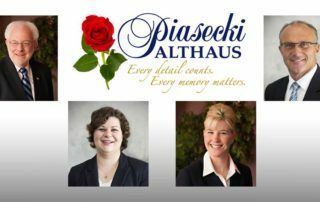 Piasecki Althaus has made it our life’s work to extend a compassionate, caring hand to help you in your time of sorrow. A funeral brings together family and friends to celebrate life and begin the process of healing. It is our mission to honor the legacy of your loved one with a unique, heartfelt tribute. We encourage you to share stories, favorite songs, personal items, and treasured photographs so we can create a truly personalized memorial for your loved one and help you say good-bye. When you don’t know who to call, you can call us any time day or night. Our caring, attentive staff will answer your questions, anticipate your needs, and exceed your expectations. After the funeral, we will also be here to support you through your grief toward finding joy again. 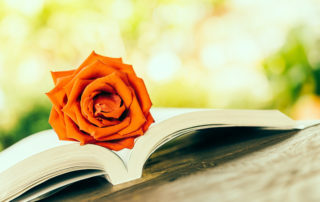 From at-need services to pre-planning arrangements and support after the funeral, we believe that every detail counts and every memory matters. 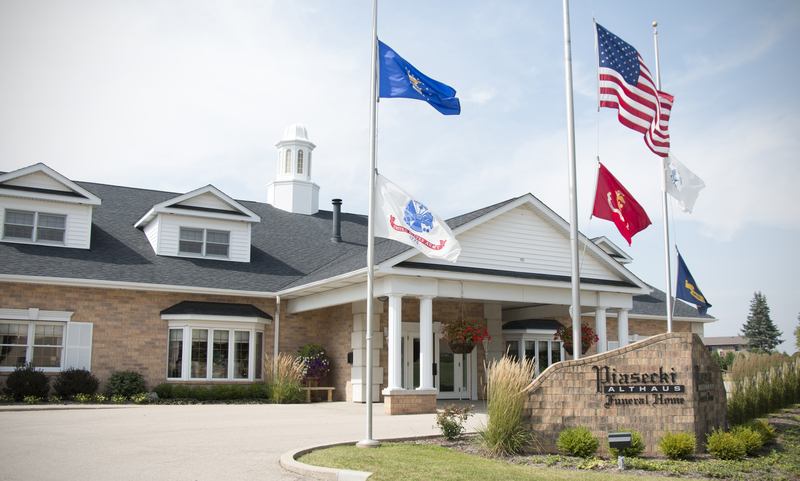 Originally founded in 1929 in Chicago, we have proudly served Kenosha families since 1931 with our mission of honoring personal legacies in the circle of life. The most professional, caring & friendly…does not get any better.